SIDNEY — Sidney attorney and noted local historian Rich Wallace will kick off Shelby County’s Bicentennial Lecture Series at 7 p.m. on April 18, 2019, with “A Bicentennial Retrospective: Why We Are Who We Are.” The program has been moved from the Shelby County Historical Society Ross Center across the street to Amos Memorial Public Library’s lower level (230 E. North St.) because of the interest that has been expressed in the topic. To reach an even wider audience, Thursday evening’s program will be streamed live to the Shelby County Bicentennial Facebook page. It will also be placed on the Shelby County Historical Society’s YouTube page. The author of dozens of articles on local history, Wallace received his Juris Doctor degree from Ohio Northern University. 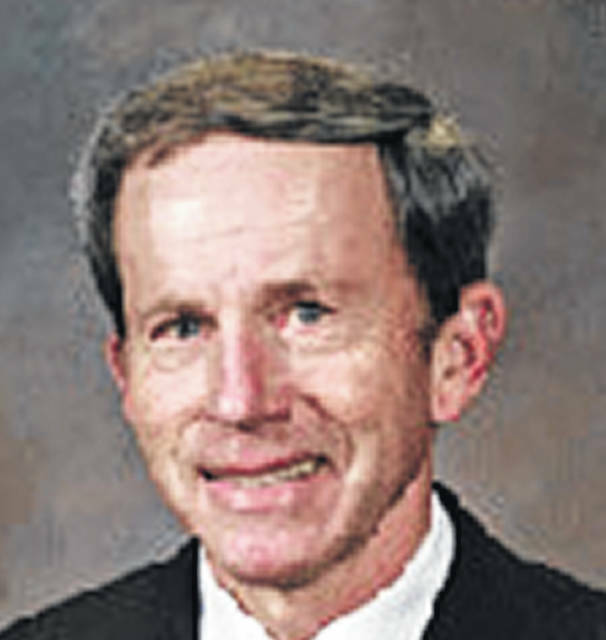 A member of the Ohio Academy of Trial Lawyers, the Association of Trial Lawyers of America, the Ohio State Bar Association and the Shelby County Bar Association, Wallace is a past president of the board of the Shelby County Historical Society and has been a member of the board for many years. For his work as a historian and his active leadership within the community, Wallace received the Sidney-Shelby County Chamber of Commerce Zenith Award in 2000. Wallace is a past recipient of the Shelby County Council of the International Reading Association’s “Celebrate Literacy” award. The award recognizes an individual who has made a significant contribution to the promotion of reading. Some of the other topics that will be explored in the lecture series include: Transportation’s Critical Role in Shelby County’s History (Scott Trostel); Lois Lenski, Storycatcher (Bobbie Malone); An Interesting (and Humorous) Journey Through Shelby County’s Legal History (Rich Wallace); and, The Fascinating History of Rumley, Ohio (Dr. Roy Finkenbine). Additional information about the lecture series and Shelby County’s Bicentennial celebration can be found online at www.visitsidneyshelby.com and www.shelbycountyhistory.org. The lecture series is sponsored by Steve and Peggy Baker.